The agent review platform RealSatisfied has signed up franchisor Century 21 Real Estate and its more than 50,000 U.S. agents as an enterprise account. The rise of Yelp, Uber and Lyft and their widespread use of five-star ratings of businesses and service providers has helped usher in a new era of transparency. After dragging its feet for years, the real estate industry now appears ready to jump on board the agent ratings bandwagon. Zillow has been publishing unfiltered agent reviews and five-star ratings since 2010. In July, Trulia followed suit. In November, Zillow made the reviews and ratings associated with its agent profiles available to brokerages, agents and multiple listing services who want to embed them on their sites. Some in the industry have been reluctant to embrace ratings for agents, however. In August, for example, the National Association of Realtors scrapped an agent ratings pilot program, citing low adoption and a lack of national support. Real Satisfied has seen its agent ratings feature take off. Over 99 percent of the tens of thousands of agents now using the system opt in to displaying their ratings, RealSatisfied President Jeff Turner told Inman. Agents choose to display their RealSatisfied ratings to consumers on an all-or-nothing basis, Turner said. The ratings are broken into three categories: satisfaction, recommendation and performance. 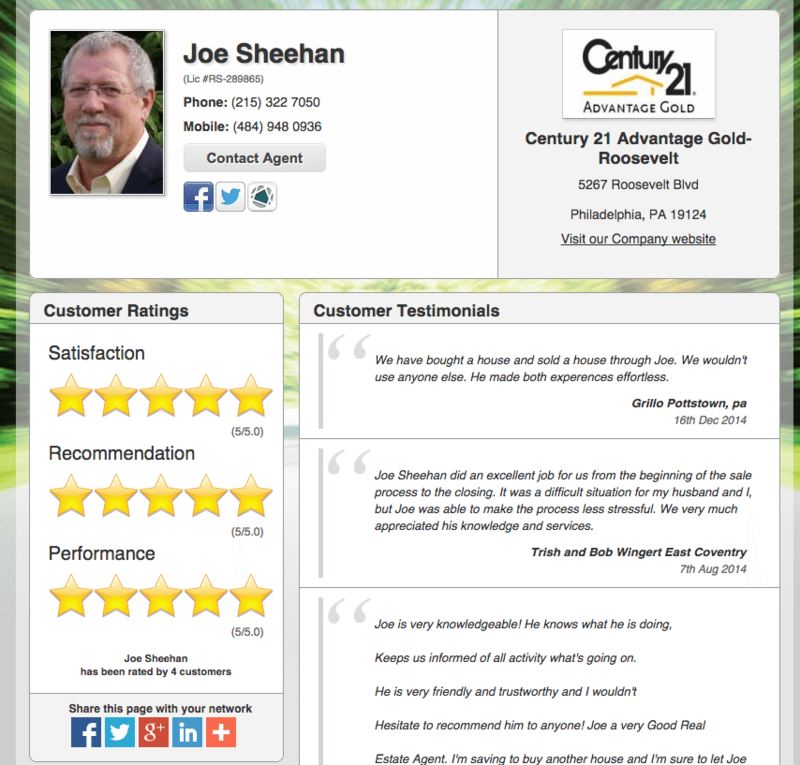 Screen shot of agent Joe Sheehan’s public-facing RealSatisfied profile. Though the industry seems to be coming around to agent ratings, it has balked at plugging MLS statistics into agent ranking platforms. While transaction data is becoming a component of agent profiles across real estate, providing tools that use that information to rank agents is more controversial, because algorithms may favor more experienced agents, or be thrown off by the information they are fed. In 2010, the Houston Association of Realtors quickly found out members objected to putting such tools in the hands of consumers, and Redfin abandoned a similar attempt to surface agent productivity statistics in 2011. More recently, realtor.com pulled the plug on tests of its “AgentMatch” rankings in December 2013, in the face of industry pushback. Zillow, Trulia and realtor.com all provide transaction information on agents’ profiles. All three portals allow agents to opt out of displaying transaction information. Zillow allows consumers to sort agent search results by ratings, listings or recent sales. Agents are ranked by reviews based on an algorithm that balances an agent’s number of reviews with their average rating. For listings, Zillow sorts agents by number of active listings, and for recent sales, by number of homes they have sold in the last 12 months. Using Trulia’s agent directory, consumers can rank agents in a location by “recommendations” or total sold homes, among other filters. RealSatisfied, which launched in 2012, sends out comprehensive satisfaction surveys to the clients of brokerages and agents using the platform to help pros gauge their performance and display their clients’ satisfaction with their service. The surveys, which run about 15 questions, include a mix of multiple choice and open-ended questions. Real estate pros see their full survey results, and have the option of publishing their ratings and testimonials. Ratings are tallied using all of an agent’s survey results. While agents must display the average ratings for all surveys, they can approve and display testimonials on a case-by-case basis. RealSatisfied signed up its first franchisor, Better Homes and Gardens Real Estate, a year ago, and is gaining traction within the industry. In addition to agent clients, it has 350 broker customers representing over 3,000 offices in the U.S. and Canada, Turner said. Brokerages and agents affiliated with Better Homes and Gardens Real Estate and Century 21 don’t pay to use RealSatisfied, as the Realogy franchisors have enterprise-level accounts, Turner said. RealSatisfied has signed up a number of association clients, including the Greater Michigan Association of Realtors, Association of Saskatchewan Realtors and the Pinehurst-Southern Pines Area Association of Realtors. At the end of this week, when the Real Estate Association of the Palm Beaches (Florida), Massachusetts-based MLS Property Information Network Inc. and Main Street Organization of Realtors (Illinois) come on board, RealSatisfied will serve close to 100,000 agents, Turner said. 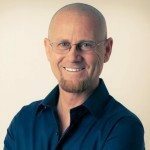 The growth is indicative of the important business insights brokerages, brands, organizations and agents are finding RealSatisfied gives them, Turner added. “We were the first brand to launch RealSatisfied, and we have a very high adoption rate across the BHGRE network,” BHGRE CEO Sherry Chris told Inman. “We feel that we can more effectively target the brand’s education initiatives and resources if we better understand the strengths and weaknesses of affiliated agents as perceived by their clients,” Amy Chorew, BHGRE’s vice president of platform development, told Inman when BHGRE brought on RealSatisfied. The surveys’ results are converted into bar charts with percentage-based scores, and individual agents’ results are displayed against the company’s overall results. Agents and brokers can view charts for: overall satisfaction, recommendation rating, performance rating and testimonial return rate (clients are asked at the end of the survey whether they wish to provide a testimonial). In addition, broker clients have access to a dashboard where they can view their agents’ survey results, helping them see coaching and training opportunities. RealSatisfied also helps agents tout their recommendations by making it easy to syndicate them to Facebook, Twitter and realtor.com, as well as posting them to their own websites (see agent Joe Sheehan’s tweet of a client’s recommendation, for example). Agents also have the option to have their own RealSatisfied profile page with customer ratings and testimonials. RealSatisfied has seen a relatively high level of consumer participation, Turner said. Of the consumers who receive a survey, more than 50 percent complete it, he said. Editor’s note: A previous version of this story incorrectly stated that Zillow does not allow agents to opt out of displaying transaction history info on their profiles. It does.